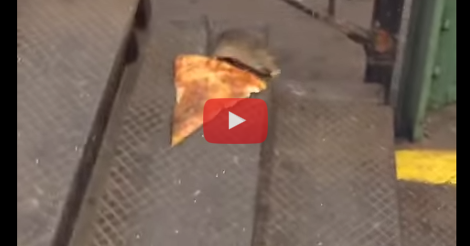 #PizzaRat is trending across the internet, and after watching this video, I can see why! Since it was posted, this little rat has been talked about 25,000 in just two days. This hungry rat is making headlines as he slowly drags a slice of pizza down a flight of stairs. 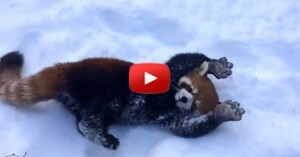 Where did he find it? Who dropped an entire slice of pizza? Did he steal it from someone’s unattended plate? Theories are flying, (hey, maybe he has four mutant ninja turtles in the subway that he needs to feed) but the one thing that everyone can agree on is that this little guy is motivational gold. This pizza is twice as large as he is. This pizza is dirty, and has probably been stepped on more than once. This pizza is heavy and difficult to carry. This little rat does not care. This pizza slice is his dream, and he will not give up, even in the face of a big scary human with a camera! I love this rat and I can see why the internet loves him, too. He’s inspiring and just watching his short struggle has made me feel like I am also capable of things that seem impossible or useless to others. I can follow my dreams, even if it means a long and difficult journey!